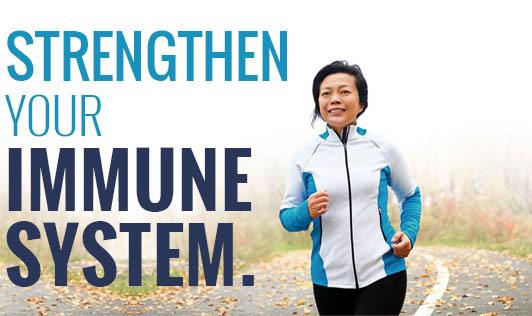 Though our body is constantly attacked by various disease causing microorganisms, our immune system does a remarkable job of defending it against harmful bacteria and viruses. However, sometimes it fails! Do you think interventions to boost up your body's natural defense mechanism will work? Vitamin supplements, changes in diet and lifestyle or herbal preparations - what among these could be the magic potion to your boost immune system? Boosting your immune system has been proved to be fugitive due to various reasons, because it is a system and not a single entity. For the entire system to work well there should be balance and harmony. Researchers are still trying to understand how the immune system works and how one can interpret the measurements of the immune system. Healthy living strategies could be the first line of defense and the single best step to a healthy and strong defense system. Food is the fighting force that our immune system needs for regular nourishment. There are several studies to support the effect that nutritional deficiencies have on the immune response of the body that can make it vulnerable to infections. These include various micronutrients like iron, copper, folic acid, zinc, vitamin A, C, D, E and B6 that alter the immune response. According to experts, Vitamin C is supposed to be the most effective nutrient against immune system deficiencies, cardiovascular diseases, eyes and skin problems. There is a growing list of benefits of vitamin C according to a recent study published by the Seminars in preventive and alternative medicine. It has looked at over 100 studies in the past 10 years. Few researchers also claim that a higher level of vitamin C in the blood can be an ideal marker for good health. Experts claim that 500mg of vitamin C per day is required to achieve good health results when compared to an allowance of 75 to 90mg of vitamin C per day for adults. To get 500mg of vitamin C, one has to eat nine servings of fruits and vegetables together. Or it can be got through eating 1 cup of each of these foods like kiwi, tomato, broccoli, cantaloupe, red cabbage, green pepper, red pepper and orange. According to researchers, vitamin C provides immunity against various infections like cold, cough, flu and cancer. It also delays skin aging and prevents strokes. Studies also point to the fact that people who eat fruits and vegetables everyday not only have good vitamin C in their blood, but are also benefited with antioxidants, minerals, vitamins and fiber.